Derby has excellent communication links. It is about 40 minutes from Birmingham 1 hour 40 from London, 2 hours from the Northwest, 3 hours from the Northeast, Norfolk or the Southwest. I practise from 2 hospitals, Derby City Hospital and the Nuffield. The first of these is a major teaching hospital and is undergoing a £330 million re-development. 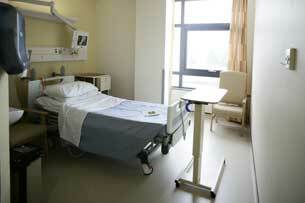 It has many single occupancy rooms with en-suite facilities to minimise hospital acquired infections. Derby urology itself is a major unit, accepting tertiary referrals from local units, currently it is the third busiest unit in terms of urological cancer in the UK as measured by returns to our specialty organisation, the British Association of Urological Surgeons. Our catchment area is over 1 million patients. 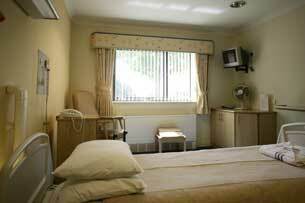 The Nuffield hospital is a well equipped private hospital with a high dependency unit. It has extremely low rates of hospital acquired infection. Both hospitals are well placed on the edge of the city for easy access.